Starting today simplify your life by focusing on less. When you focus on less, you disregard the negative chatter, and you shift your focus by working smarter not harder. A morning ritual is the best habit you can incorporate if you are trying to structure your life. It is a positive way of getting your morning kicked off without being stressed. It’s allowing yourself to schedule a routine that’s self-directed, and this habit enables you to feel good about yourself. And when you feel good, you feel accomplished! Moreover, consistently practicing a morning ritual will give you flow. And this flow will help you initiate a rhythm because you take control of that timeframe. And when you have self-discipline in the morning, then chances are you will practice self-discipline throughout the day. But I get, it, waking up earlier in the morning is not fun. Especially in the beginning because you’ve grown accustomed to taking advantage of sleep. But with practice you look forward to that time to focus on your morning ritual. My recommendation is that you START now because this habit of waking up earlier strengthens your mental toughness. It prepares you for the stressors that lie ahead. Morning rituals greatly contribute to mental toughness, emotional toughness, weight loss, less stress, productivity and more clarity. Don’t be like me where you are forced to practice a morning ritual. In the Summer of 2010, I admitted myself to the emergency room after experiencing an anxiety attack. It was a scary moment because I knew I had to make healthier changes to my life. One of them was waking up earlier so I could exercise. Let me just share with you that I have never looked back and that small decision I believe saved my life and has served me in so many other ways. Don’t be indecisive, if you need more help on getting started, grab my wellness guide that will show you examples of what you can focus on. You can click here to access your free guide. Schedule exercise and meal planning every week. Look at your planner and pick out the days of the week you will exercise. What exercises will you do throughout the week? After being released from the emergency room, I knew that my health was deteriorating due to stress and other overwhelming circumstances. So I knew I had to make crucial changes in my life if I wanted different results. You must do the same! Schedule the days of the week and the times you will exercise before the commencement of the week. Plan out specific exercises ahead of time. If you are in a group exercise, write it down, commit and hold yourself accountable. This morning ritual of exercising before work enabled me to lose 25 lbs. and transformed my physique. Moreover, it served as a high-caliber habit that has helped me transform other areas of my life. For example, know when you will do strength training and when you will do cardio. This time-frame should never be compromised and do your best to follow through. Moreover, what day have you designated as meal planning? Choose one day when you will cook most of your meals for the upcoming week. Plan the number of meals for the week for you and your family. Also include what day you will have a cheat meal. Planning ahead will keep you structured and you know you when you can deviate from your plan. The biggest contribution that meal planning has is that it will greatly enhance your health. 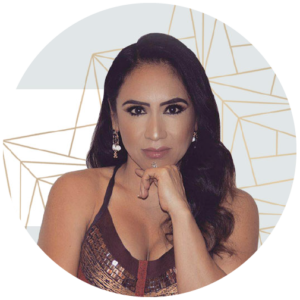 As a certified health coach, one of the most important things I advocate for women entrepreneurs is the necessity of planning your meals in advance. Especially if you are a woman entrepreneur! When you plan your meals in advance you know when and what you will eat. This will make you disciplined, and the goal is to pre-portion your meals so you are not overeating. All of this contributes to mental clarity, more energy, and better moods. Or if you don’t want to portion out your meals, at a very minimum cook your staple foods that will be used throughout the week. This will save you so much time, money, and effort. And don’t worry if you are tired the first time you do this, it gets better and faster with practice. Think about it? You are already eating the same meals throughout the week. Why not make them at home? As a full-time working mother who consistently maintained 99% of the household responsibilities, it was making meals that consistently took most of my time. It is your responsibility to raise your family the right way. Practice the art of meal prep because it will lead to dramatic changes in your body, your mood, your time, and your budget. Is your home a mess? Are you living in clutter and can’t seem to organize your house? I can help you with this. Step up and take pride in your home. My recommendation is that you begin with your bedroom. The way you find clothing displayed in a boutique is the way you should display your room. Find creative ways to store your bags, shoes, and clothing. Think about Jennifer Lopez’s house, do you think she has clutter? I’m pretty sure her home is a perfect example of the photos you see in Pinterest. Have fun while you are doing it, and buy baskets or beautiful storage containers that will enhance the room. Even your junk drawer should be organized. Decorate your bedroom the way an interior decorator would decorate her room. Look for inspirational photos on line and try to replicate the same look based on your budget. Personally, I want to walk into my home and think I’m in a model home. This will enhance your overall wellness, and home decoration further expresses how you feel and live. When you take the time to decorate your home, it reflects who you are and how much you value your home. If you need more help with this don’t be afraid, and please reach out to me. Thankfully, I have found a way to streamline my house so it’s neatly maintained, and in impeccable order. Make your bed upon waking up, this is the best habit and it will give you a sense of accomplishment. Manage your calendar and your plan everyday. Monitor and delegate housecleaning services. Mitigate exposure to negative people. Model the person you wish to be. Social media time should also be structured throughout the week. If you are like most people, you are spending too much time on social media platforms. Social media can be detrimental to your life, and business. Well because it zaps your productivity and it’s easy to numb ourselves with social media when we are bored, don’t want to speak to others, or prior to going to bed. Be careful with your social media consumption because it can alter the way you feel about yourself because you are being exposed to other people’s lives. You see perfect photos of beautiful people, traveling and doing wonderful things. Most people post their best photos just to increase their traffic and engagement with other people, myself included because it helps us appeal to a specific target audience. What you don’t see is what they look like at home, when they are stressed or dealing with real problems. What you see is perfect bodies, and beautiful faces and these photos can be misleading because you compare yourself. And when you compare yourself this can lead to lowered self-esteem and dissatisfaction with yourself and your life. Be careful of what you constantly expose yourself to because it can affect your mood. My recommendation is that you monitor the times you are on social media so you can see how many hours throughout the week you are spending on social media. For most women entrepreneurs, this might increase because you depend on social media to attract new clients and new leads. This is how you generate business, and social media algorithms are requiring you to interact through live stories, photos, and direct messages. These platforms have found unique ways to increase your visibility if you are constantly engaging other users and posting on a consistent basis. From a technology perspective, we are connecting faster with anybody in the world but we are not connecting on a deeper level. It’s effects can lead to stress, anxiety, and depression because we are communicating less. Simplify your life by shifting to what is important. Be more present with your daily interactions and learn to say “NO” to more people. You are here to please yourself, not other people. In your pursuit for simplification, learn to silence yourself and your environment. When you silence yourself, you have more self-awareness and can connect to your inner guidance. Connecting with yourself through introspection can give you more clarity about your life and where you want to go. Your intuition is guiding you, and you need to listen. The problem is that most people are distracted with the external environment and are easily misled. Simplification leads to happiness because now you have mental bandwidth to focus on creativity, productivity or purposeful living. And most women entrepreneurs are multifaceted and can do many things well but that is not the point. The point is to practice single-minded focus in one area so you can experience results and the momentum you need in order to reap the benefits. When you simplify you reduce time and can focus on writing that book, starting that course, or work on a presentation. Furthermore, when you have high-caliber habits in place this helps you reduce decision fatigue. And this helps with mental toughness so you can redirect your focus on what is truly important. When you structure your life, you don’t worry about what you will eat, and when you will exercise. You don’t worry because it’s about organizing your life. And when you consistently organize and practice, it will done on auto-pilot! 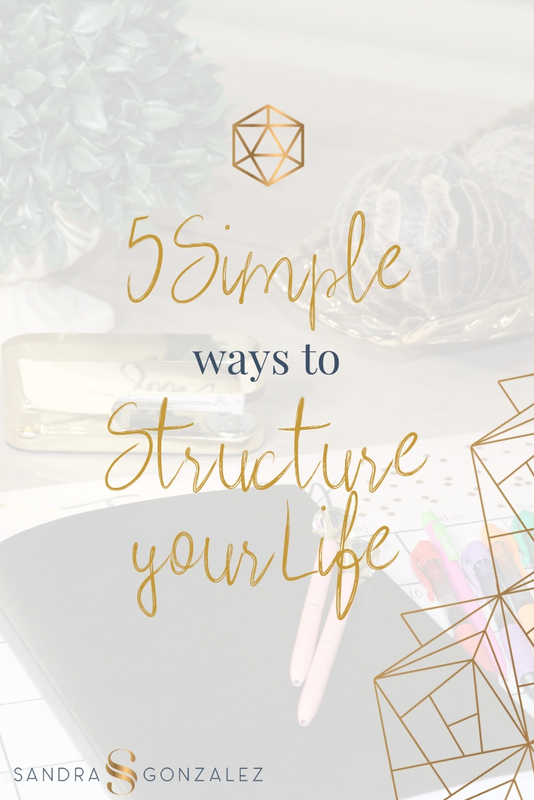 What struggles are you having with structuring your life? I would love to hear from you. Or if you need me to help you specifically with your struggle, reach out! Don’t be shy, and take advantage of my complimentary consultation. Click here!